Deidre's Discoveries: Scentsy 10% off Sale! 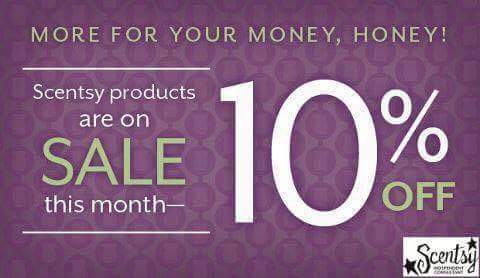 Scentsy is having a 10% off sale in order to transition to our fall and winter catalogue. Many scents, warmers, and entire layers (body products) line are being discontinued. I'm definitely sad to see the shower gels go, they lather great and one of the few that don't give me hives when I use them. If you're interested in placing an order, please keep me in mine! The sale ends August 31st! You can shop from Canada, USA or Mexico. The page is automatically set up for Canada, so if you're shopping from another country, just change the location from the menu bar! Send me a message for my personal offer!